Ever thought of visiting Russia? If so, you really have to start your trip in St-Petersburg. It’s one of (if not) the most beautiful cities I have ever visited. It can easily compete with cities as Paris or Rome. Here is a list of the top places to visit in the most northern metropole in the world. The Peter and Paul Fortress was built between 1703 and 1733 and was the first stone cathedral of the city. The spire is 123 meters high. It seems nothing compared to skyscrapers they build nowadays, but in the 17th Century it was quite an amazing feat. Once a political prison, the fortress is also the burial place of the legendary Romanovs. Even Peter the Great and his son Alexei have their final resting place here. The latter planned a coup against his father in the 18th century. That failed, however, and Alexei fled abroad. His father lured him back as his long lost son and then punished him to death. The Hermitage is one of the most famous museums in the world and is spread over several buildings. 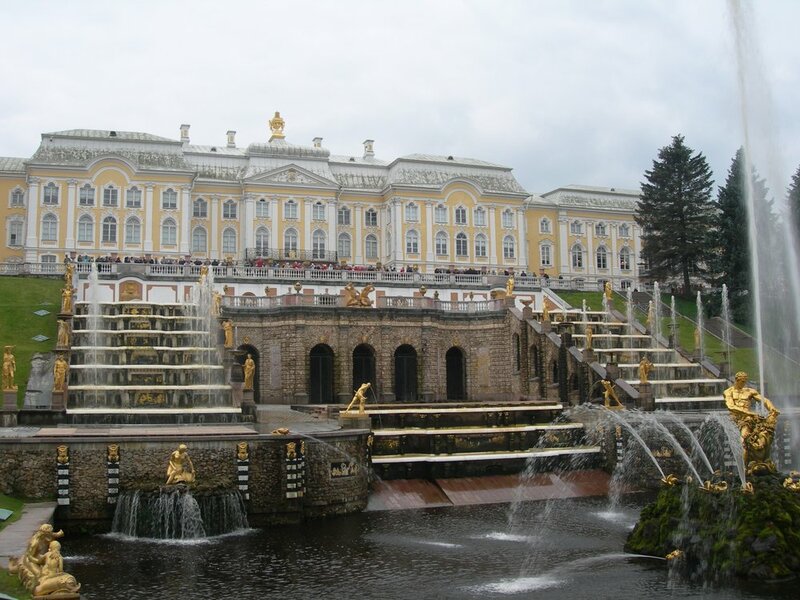 The most impressive is the Winter Palace. Until the Revolution this was the residence of the imperial family. The museum was created in 1764 from a collection of more than 300 paintings belonging to Catherine the Great. Nowadays it consists of more than 3 million pieces. At the back of the Hermitage you find the Place des Palais. Many famous events took place in this square, including Bloody Sunday in 1905 and the October Revolution in 1917. These days the events are much more pleasant. Many concerts take place here given by stars such as Elton John and the Rolling Stones. Next to the Hermitage you find the Winter Canal, the narrowest canal of St-Petersburg. assassinated in 1881. The building contains 75,000 sqm of mosaics and the five domes are a true work of art. Theatre. The biggest ballet companies performed in this renowned theater. Tickets to a ballet or opera can be booked here . I'm not a real fan, but I enjoyed “Swan Lake” by Bolsjojcompany. This really is a once in a lifetime experience. impressive sites in Russia. You can go by hydrofoil (leaving in the center of St-Petersburg) or by car. It’s a long drive, but it gives you the chance to see another part of Russia. Once you're out of town, you get to know the dark side of Russia. The grey buildings and the dismal streets are a far cry from St. Petersburg’s light and glamour. front door of Peterhof an artificial sea channel departs to the Baltic Sea so that the tzars could sail as close to the palace as possible. The impressive cascade takes you past 37 statues, 64 fountains and 142 water sprayers - a feast for the eyes. From 1941 to 1944 the palace was occupied by the enemy. Fortunately, all artworks were removed in time and even buried to save them. Inside Peterhof the main staircase and the throne room are very impressive. So surprise everyone with your next city trip and don’t go for the obvious cities like Paris, New York or London, but visit the magnificent tzars City. I promise you won’t regret it. I'm Wendy (1973 °), traveleraddict, foodie and bon vivant. In 2017 I have been married for 20 years (OMG, I'm old enough for that?) to my soulmate and travel companion. Add in two great sons and a dog in and the picture is perfect. I have traveled around a lot over the years and played a long time with the idea to do something with all the information I gathered. Et voila, WorldWideWendy was born.